OC Mom Blog: Giveaway: Plan a Family Summer Vacation to Texas! On the tour you can explore the beautiful Texas coastline on a virtual beach, watch a film and play Texas trivia inside the dome theater, splash your way across the state in a virtual kayaking adventure, and so much more. Texas is the ideal family destination. There’s plenty of family fun in Texas. They've got enough zoos, aquariums, kid-friendly museums and amusement parks to entertain even the most rambunctious little ones. And don’t forget the beaches, state and city parks, fairs, festivals, animal sanctuaries, and dinosaur tracks. I can't wait to take my children to see the Big Bend part of Texas. They would just LOVE it! Travel Texas even has an iphone app to help you plan your next trip to Texas. Before you hit the road, get a sneak peek of Texas with their exciting videos. Then easily plan your trip with Trip Planner, where you can create, view and change itineraries in a flash. If you are interested in going to Texas you have a chance to win a trip for two! Visit this website and enter to win a trip for two to Texas. You can make reservations online and even get a free vacation planner on the Travel Texas website. You can learn all about what part of Texas you want to visit and learn about it's history before you even leave home. In Celebration of our Texas Love we are hosting a giveaway of a Texas chili bowl and cornbread gift set. 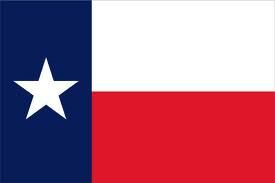 Tell us what you like about Texas! Giveaway will be open until June 20th at 11:59pm PST. Winner will be chosen via random.org and has three days to respond before another winner will be chosen. Winner must have a US shipping address. San Antonio- a vibrant city of legendary history and flourishing cultures. This is the perfect year to experience the Alamo as 2011 marks the 175th anniversary of the legendary Battle of the Alamo. Plus stroll the newly expanded River Walk, explore museums and dine on nationally acclaimed cuisine. One of America’s most affordable and friendly cities, make San Antonio your next vacation destination. Go to visitsanantonio.com to learn more. We were provided with a chili bowl gift set to help in our review of the Texas Tour. All of our thoughts and opinions expressed in this review are of our own.This post was brought to you thanks to Mom Spark Media. I LOVE everything about Texas but the heat and bugs (I was born and raised here). San Antonio is one of my favorite cities - we love the Riverwalk, Sea World, and Fiesta Texas! Texas is amazing and there is so much to do while visiting. There is a little bit of everything in Texas....you have the desert, the coastline and beaches, the hill country and a few vinyards, there are many lakes to explore and the many state parks to take advantage of. The communities range from small tight knit towns to large cities. You can also find towns rich with different cultures ranging from German to Czechoslovakian to Mexican. If you haven't experienced Texas, then you should put that on your things to do list. I love Texas. I would love to win this neat set. Thanks for the giveaway. Disneyland is a pretty expensive proposition all around. And summer rates are one of the highest of the year and i think in the pics some crazing photos and vacation is one of the best time to spend the time..
Area Restrictions - Some poker destinations confine the playing for cash (and even free play at times),Area Restrictions - Some poker destinations confine the playing for cash (and even free play at times), in view of your region, and the laws administering betting in your region. Google Bewertungen Kaufen in view of your region, and the laws administering betting in your region. Make sure you have practiced thoroughly,best bitcoin casino bonus either online or offline, before bringing your game into the world of high stakes casino poker.